An enthusiastic, fresh and articulate voice-over artist and radio presenter from Glasgow. Currently studying for a degree in Broadcast Production, he has embedded himself within the media industry from a delicate age. 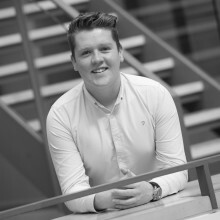 Now working with both Clyde 1 and West FM, he has a whole ‘host’ of experience to hand. As far as voice-over work goes, he has worked with some amazing clients so far, like Skills Development Scotland, Scottish Swimming and Caledonian MacBrayne Ferries. Whether it’s a radio or television advert, narration or even the X Factor styled announcer voice; he will bring your script to life!